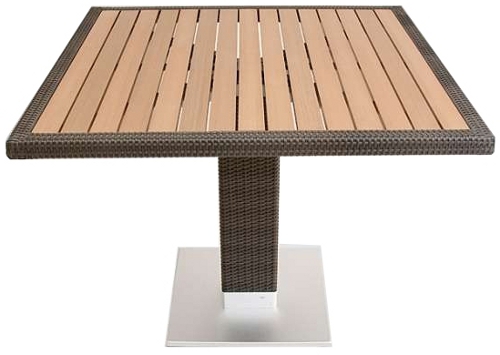 This faux square teak table features resin teak panels w/ an indo weave edge. The base shown is stainless aluminum with matching weave. Other base options are available. Also available in special order round sizes.